Diva, innovation has its own interpreter. 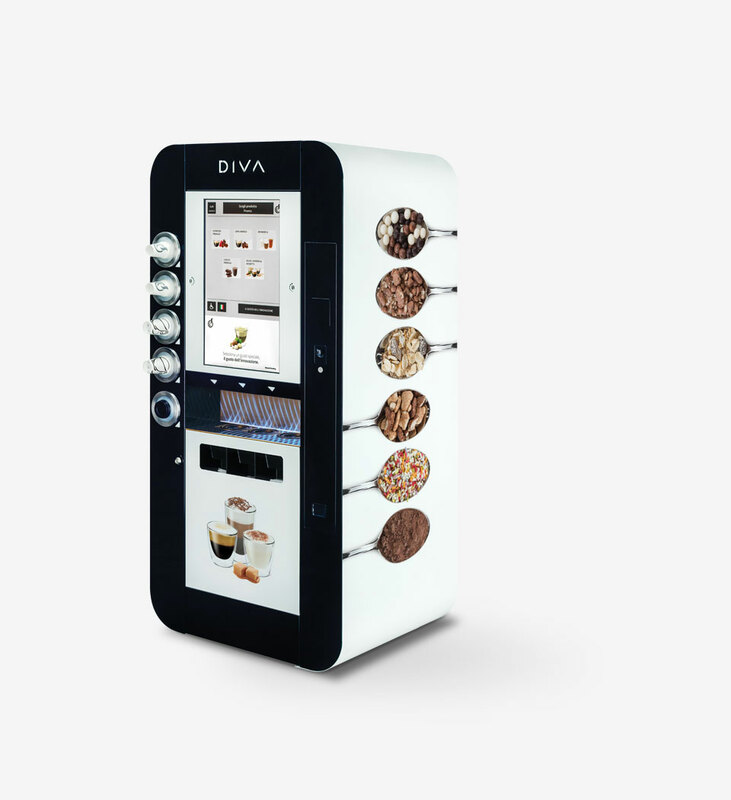 DIVA is the most versatile and innovative coffee corner on the market: it fully meets consumers’ extensive needs offering 350 combinations of different drinks and aromas, relying on a highly interactive and intuitive interface. With DIVA, consumers’ tastes are turned into real recipes for delicious drinks, thanks to a guided system that allow to create customized drinks. Versatility and a complete offer make DIVA the leading actress of the vending sector. New espresso unit with variable chamber, 6÷14 gr coffee dose. Topping dispenser: choice of 4 different types of topping for drinks complemented by many top quality products, such as: chocolate flakes, choco pops, muesli. Refrigerating unit for correct storage of fresh milk; temperature below 4°C; volume: 15 litres; empty milk sensor and themometer showing the temperature inside the refrigerating unit.